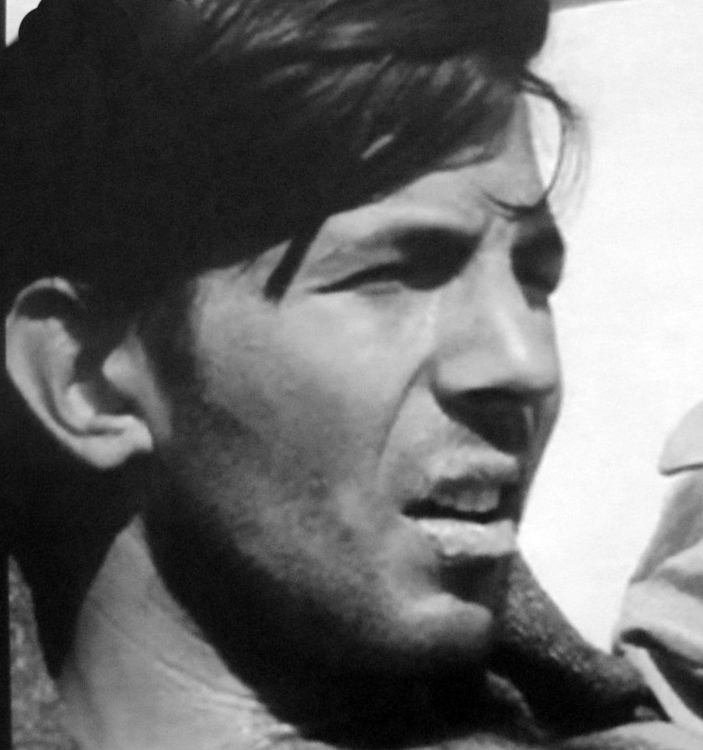 I came across these wonderful (and remarkably hot) photos of Leonard when he did a radio interview with Betty Kennedy for Toronto radio on April 7, 1969. 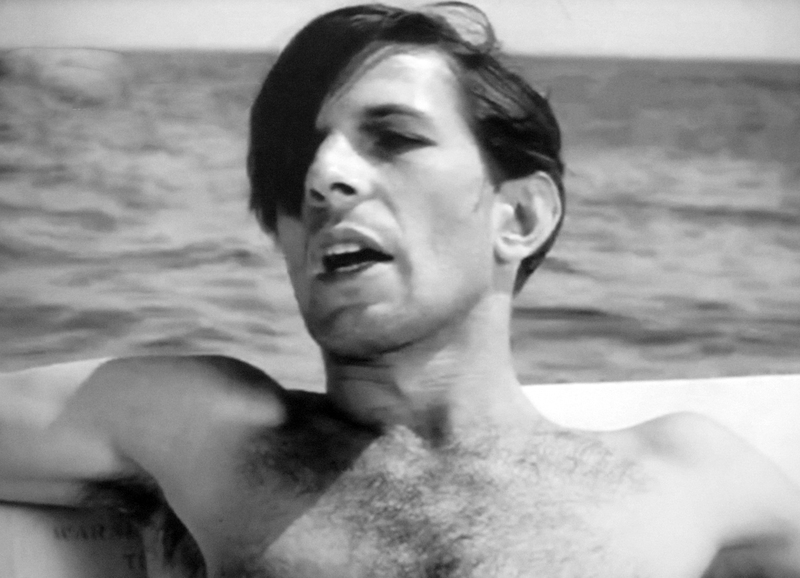 He’s quickly grown out the Spock hair and sideburns, and is all ready to be Paris on Mission: Impossible. 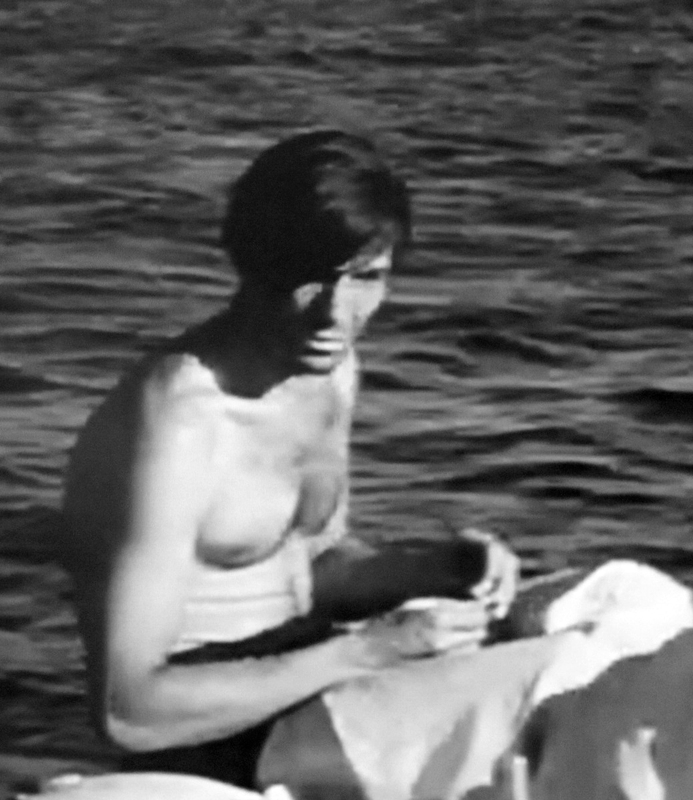 I also came across a similar close-up of him in a room with damask wallpaper, but I’m not sure if it’s the same day (hair is very similar) and he changed his turtleneck, or it this was just a different day. 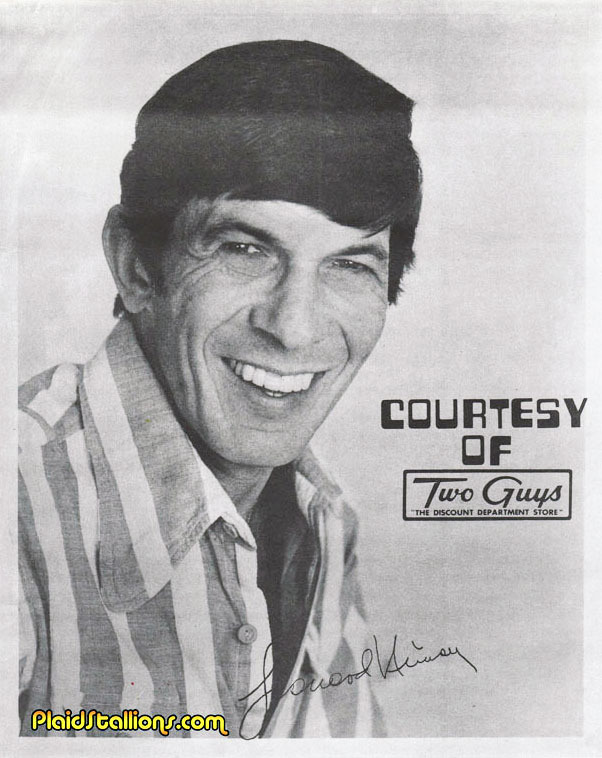 I’m guessing the latter~ But no matter, it’s Leonard Prime! 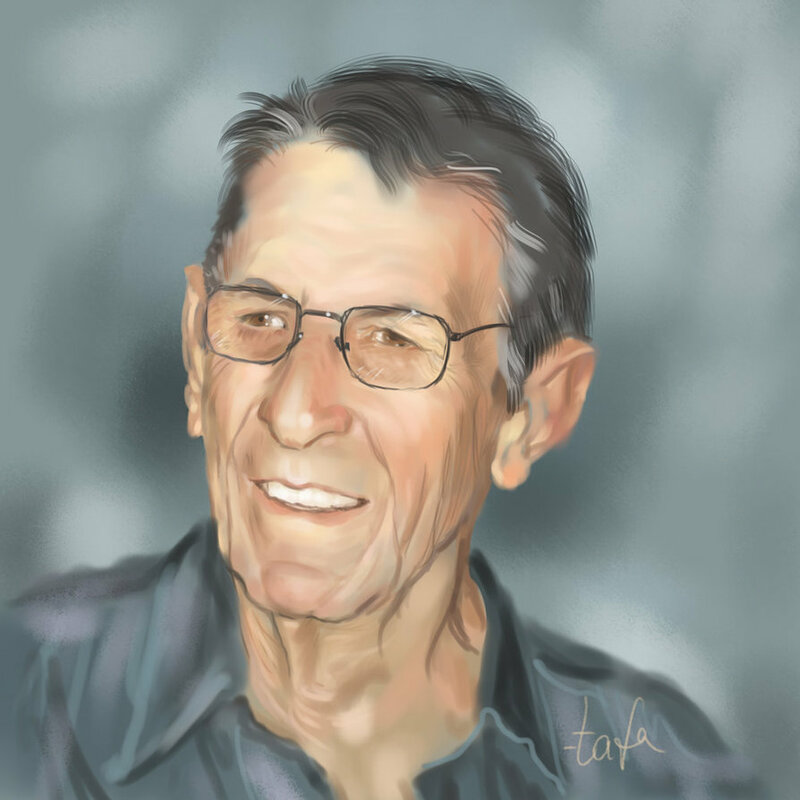 Had this idea a long time! 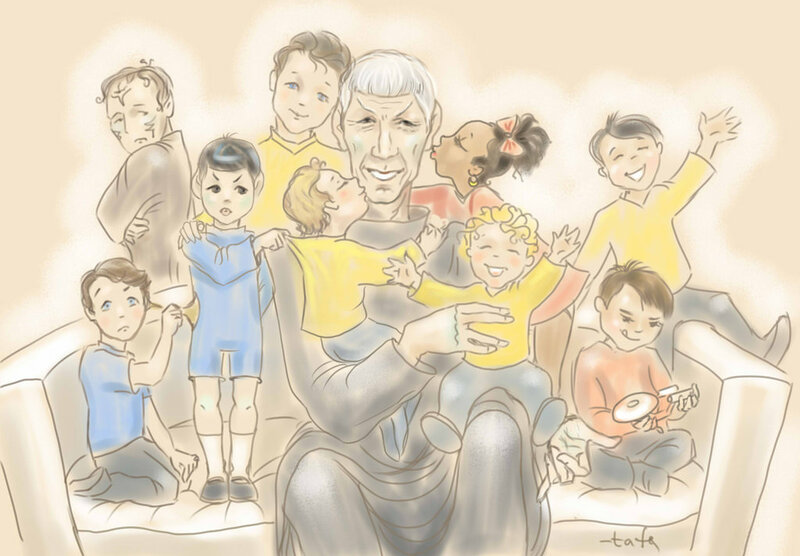 Who wants a Spock one? 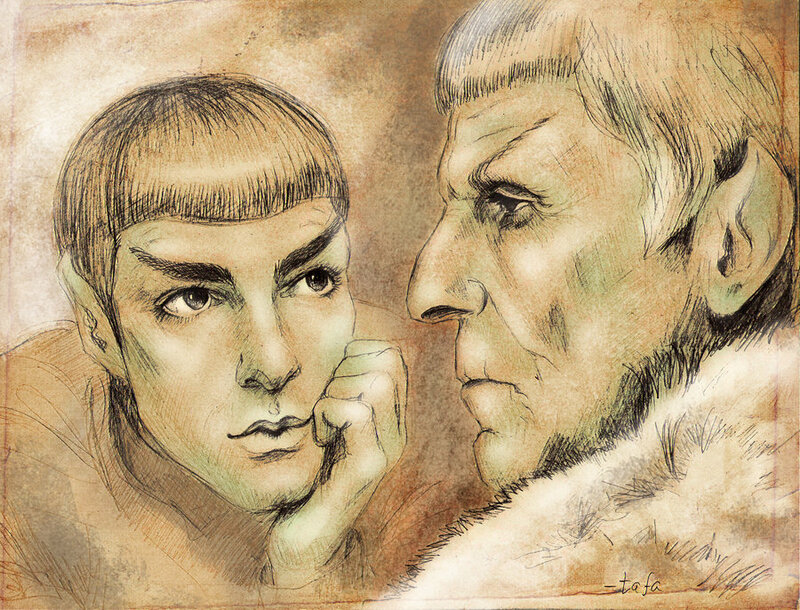 One of my favorite characters of all time, the Romulan Commander from The Enterprise Incident. 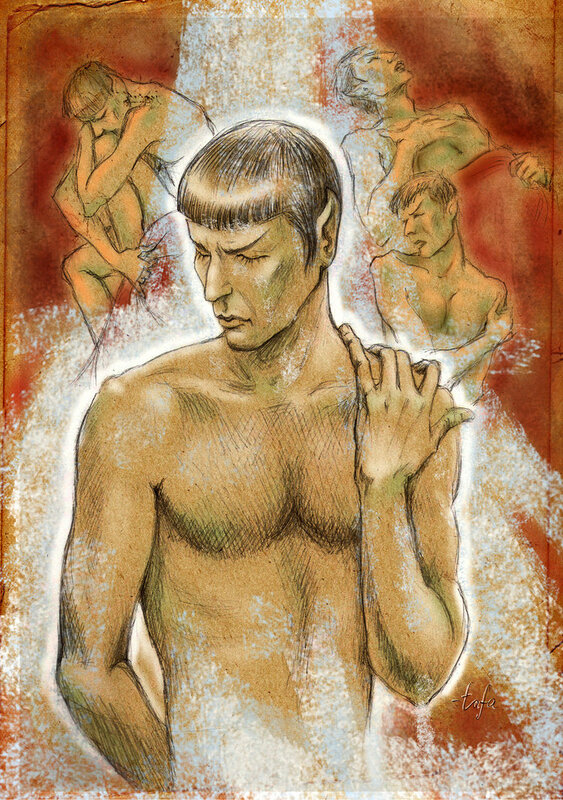 TOS, she whispered her name to Spock, which he found rare and beautiful. 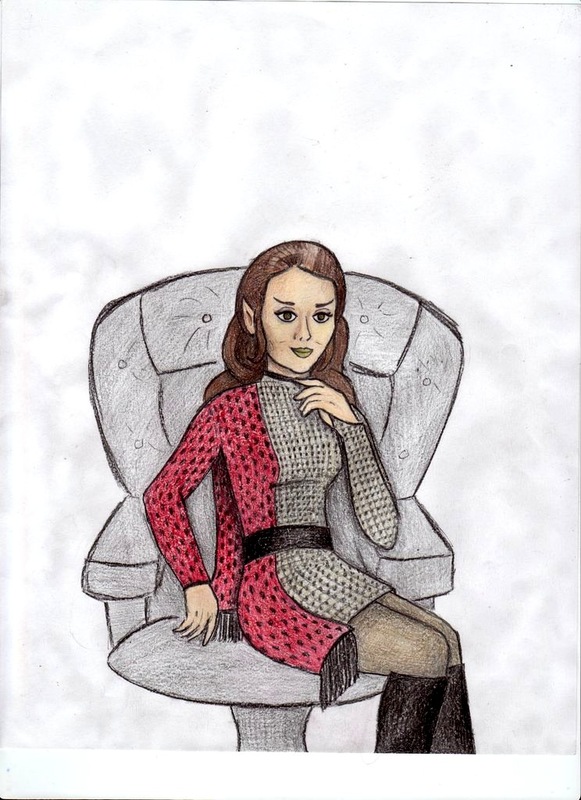 In fan fiction, her name was revealed as Liviana Charvanek, which is kind of pretty. 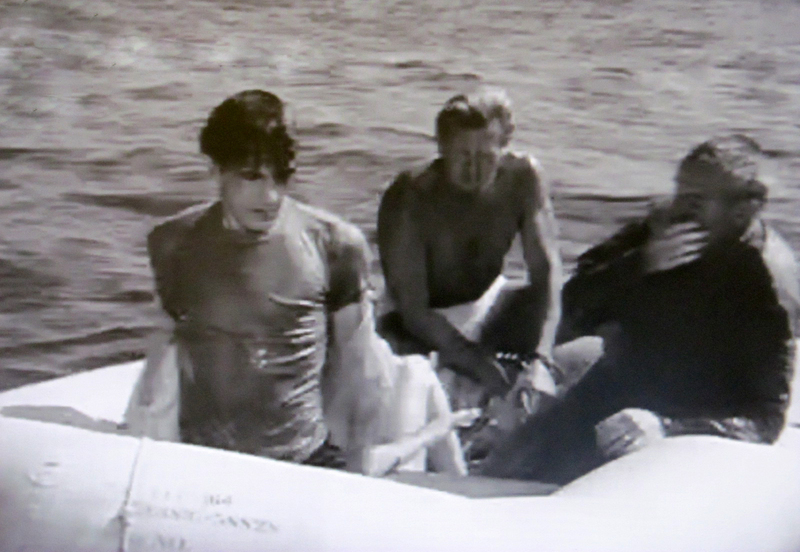 She just oozed cool, didn’t she? 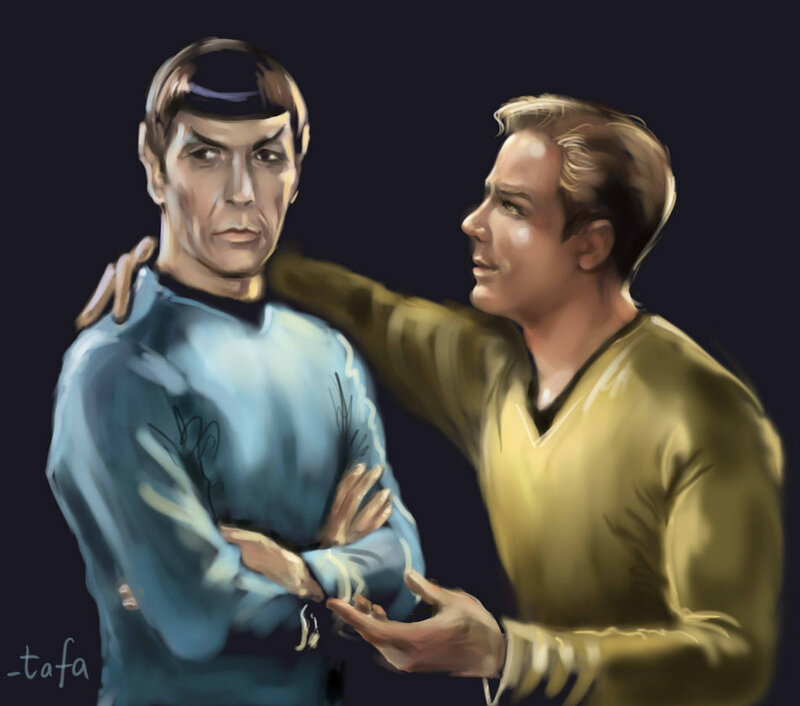 From artist anotherminerva on DeviantArt. 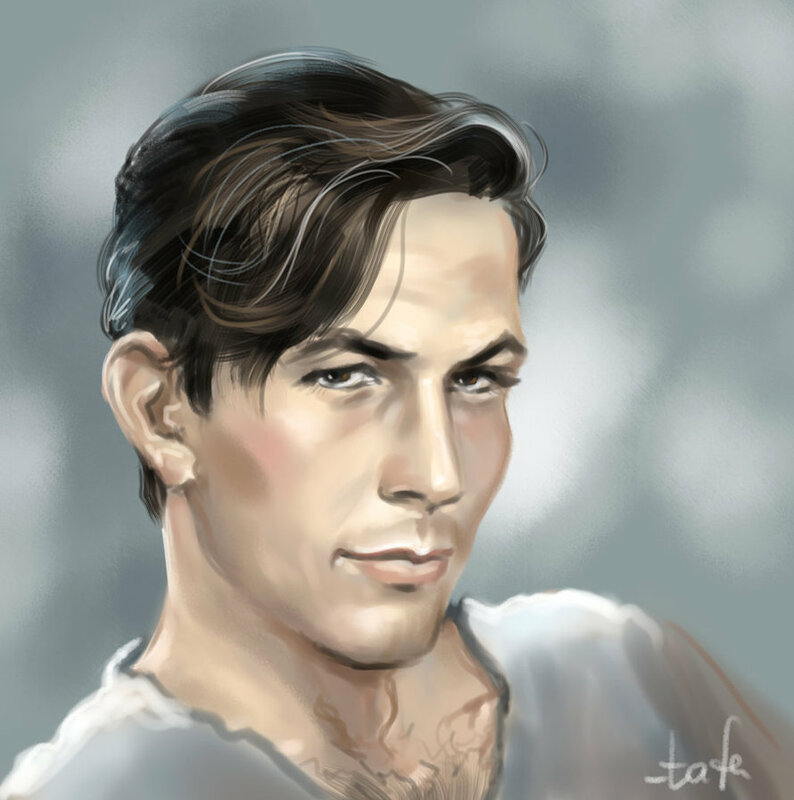 Nice, I like that the artist added green lips! 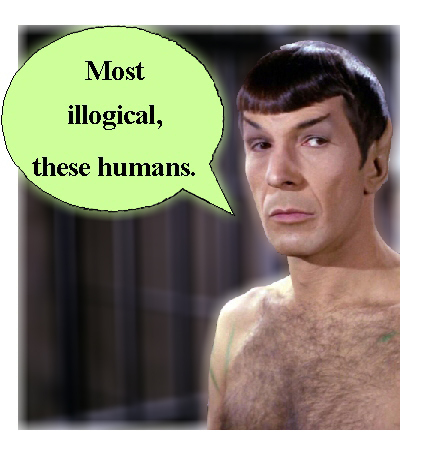 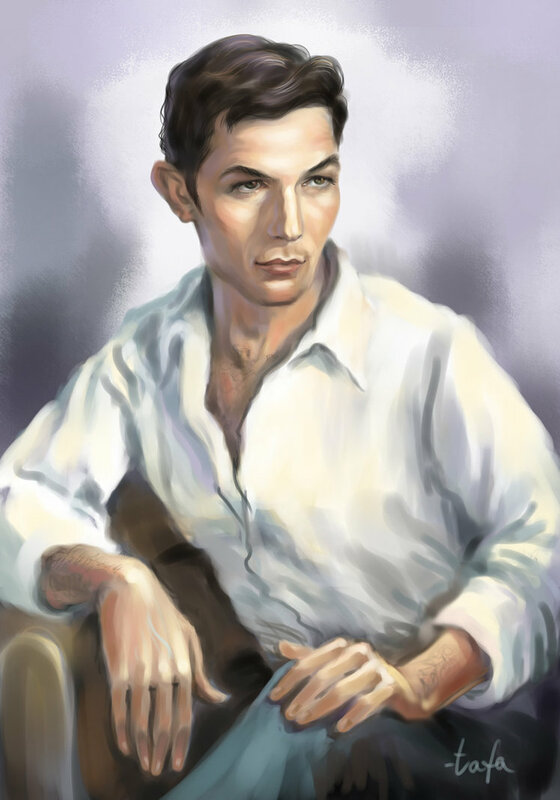 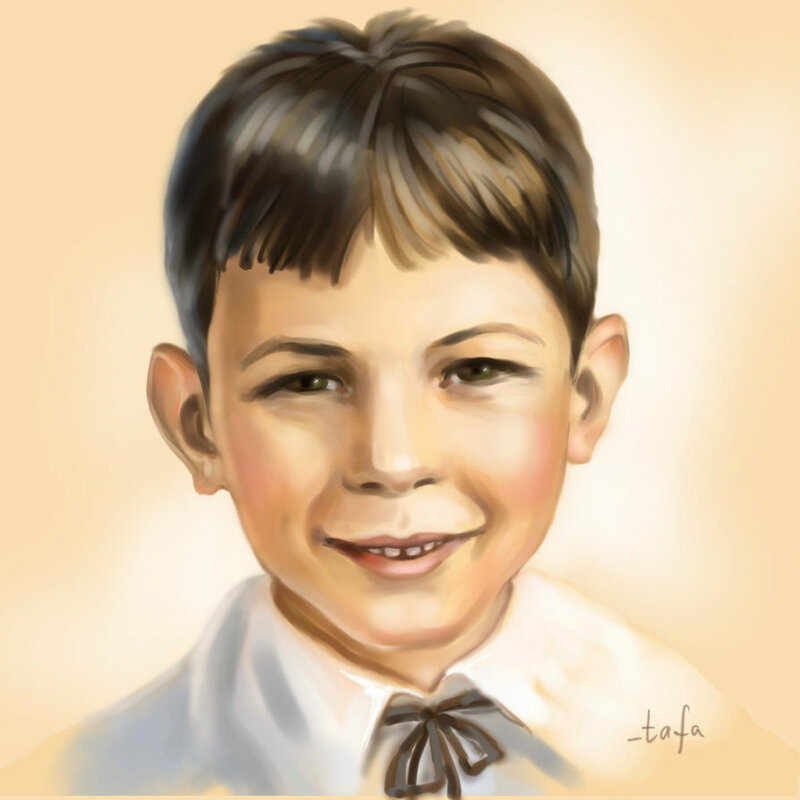 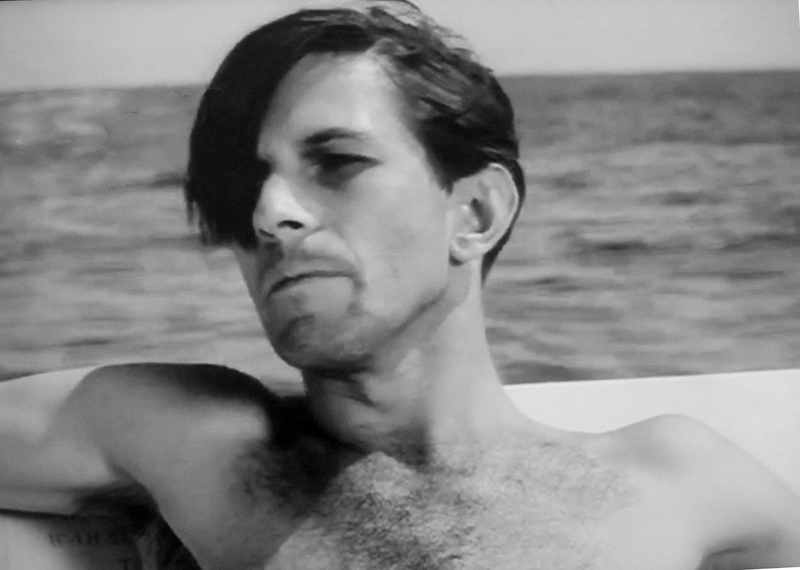 Since this is Leonard Nimoy Birthday Week, I couldn’t think of a better way to start off than having Mr. Nimoy in his birthday suit…well, half of it! 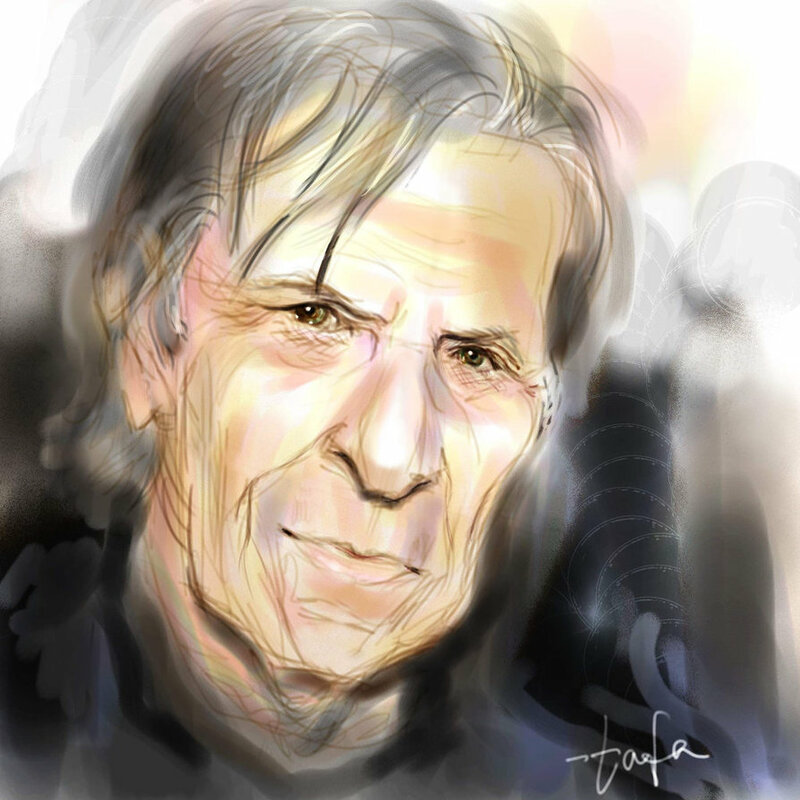 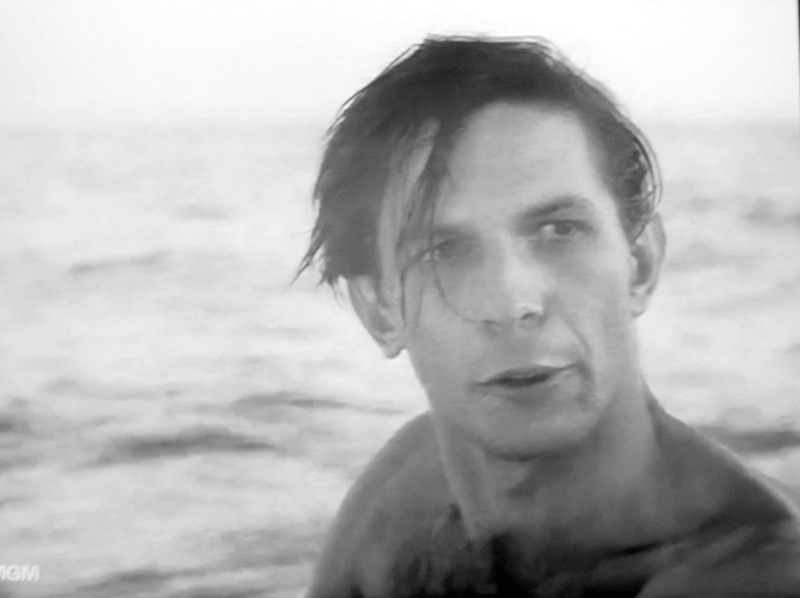 Nimoy did eight episodes of the Lloyd Bridges series Sea Hunt. 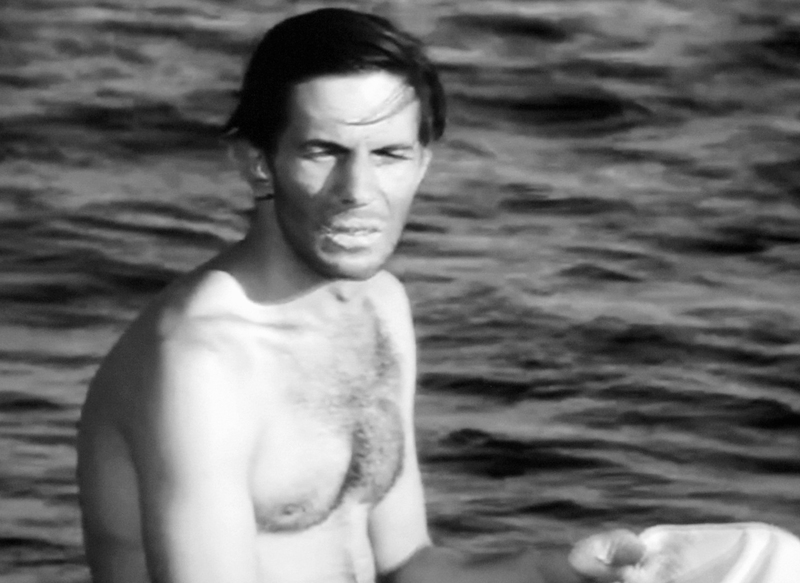 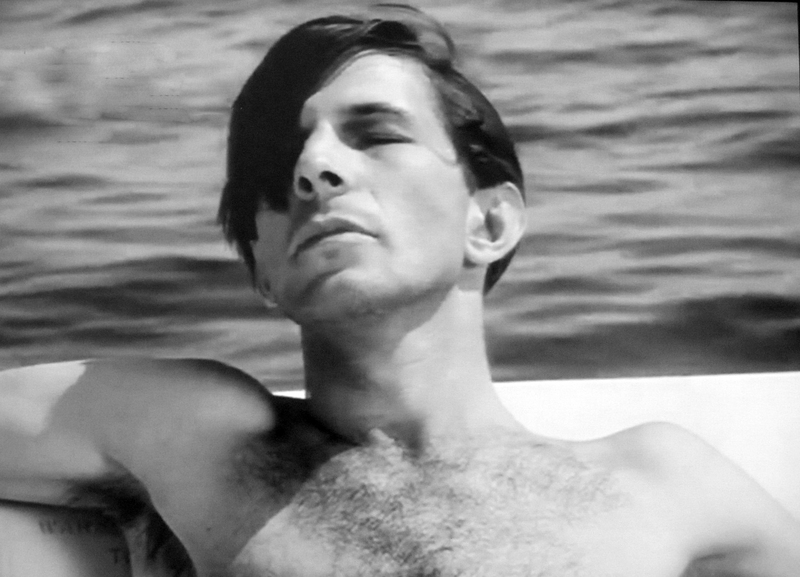 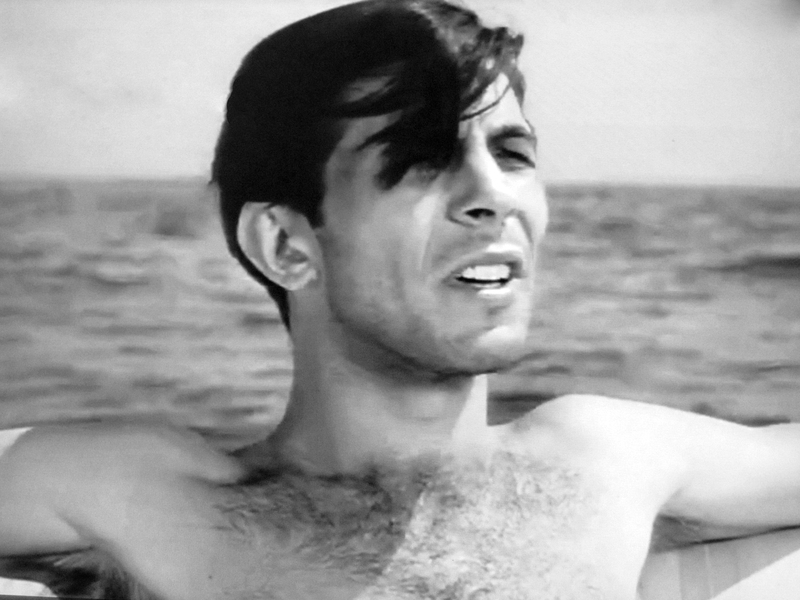 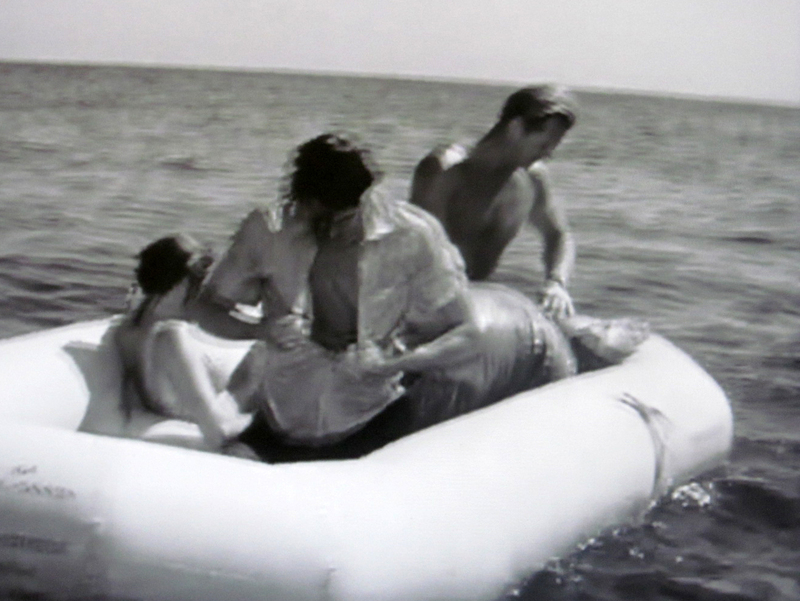 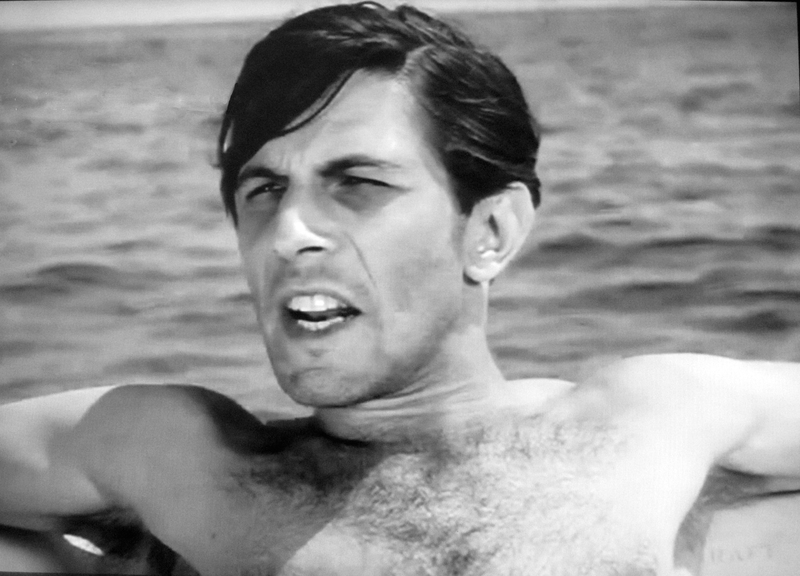 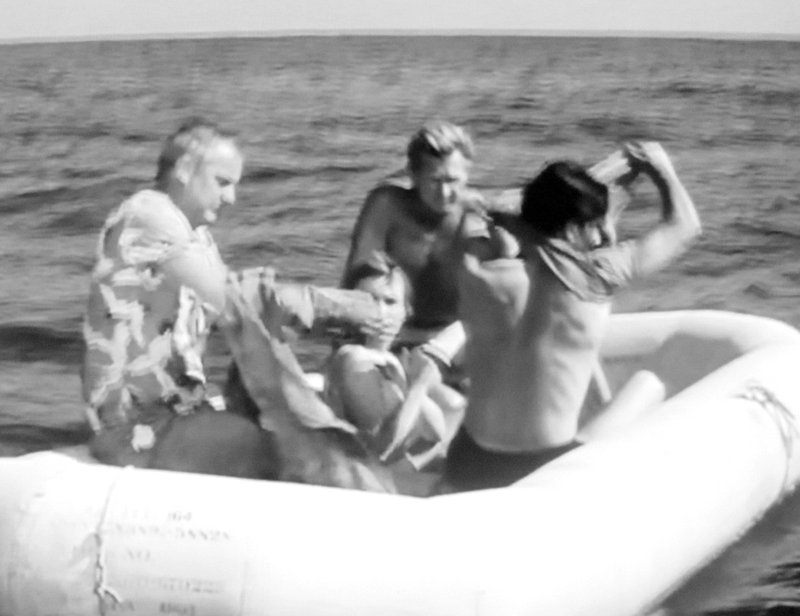 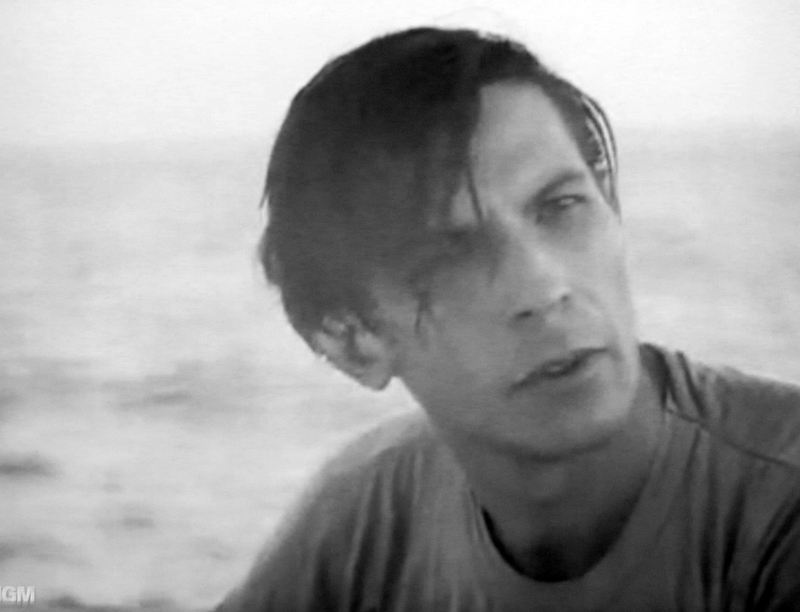 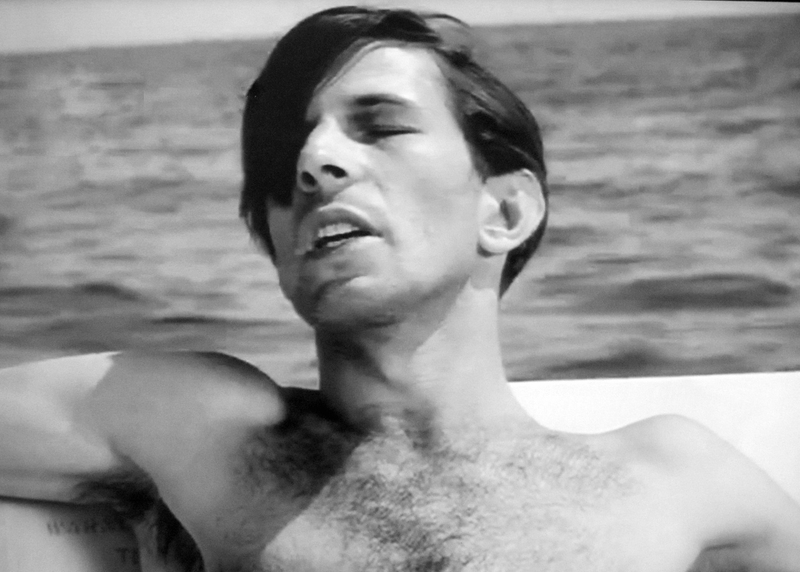 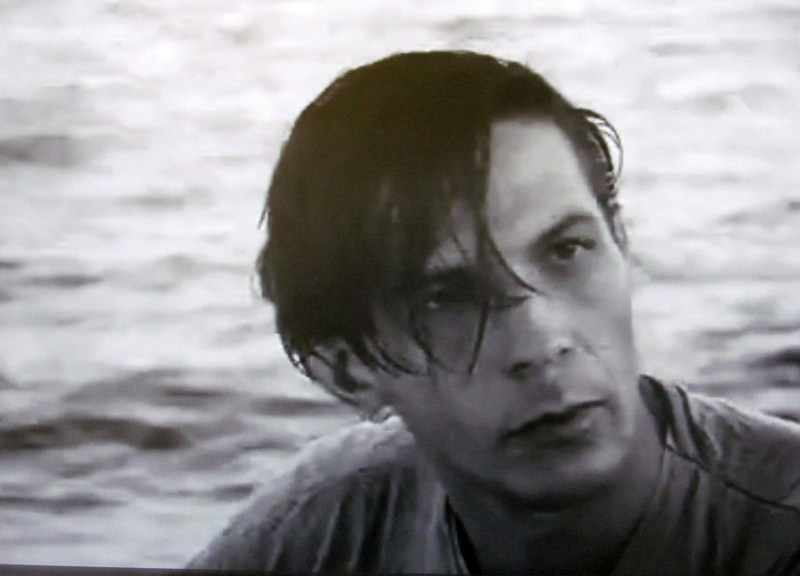 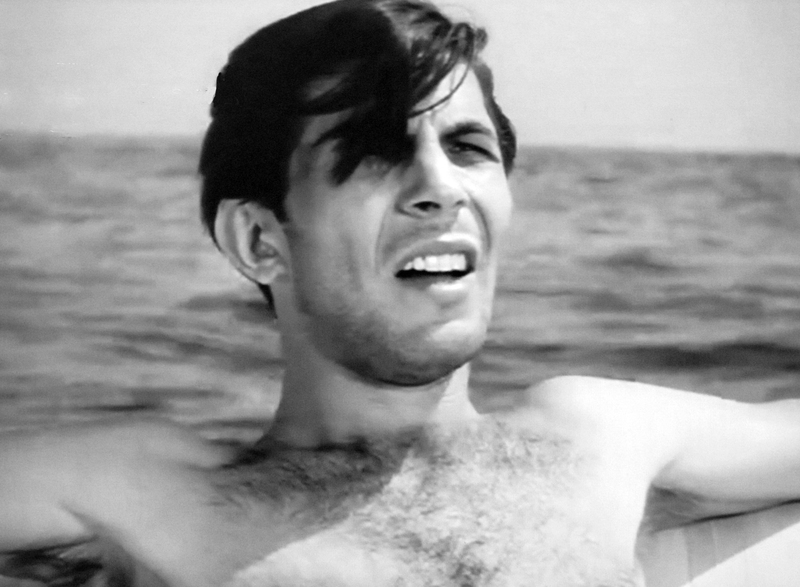 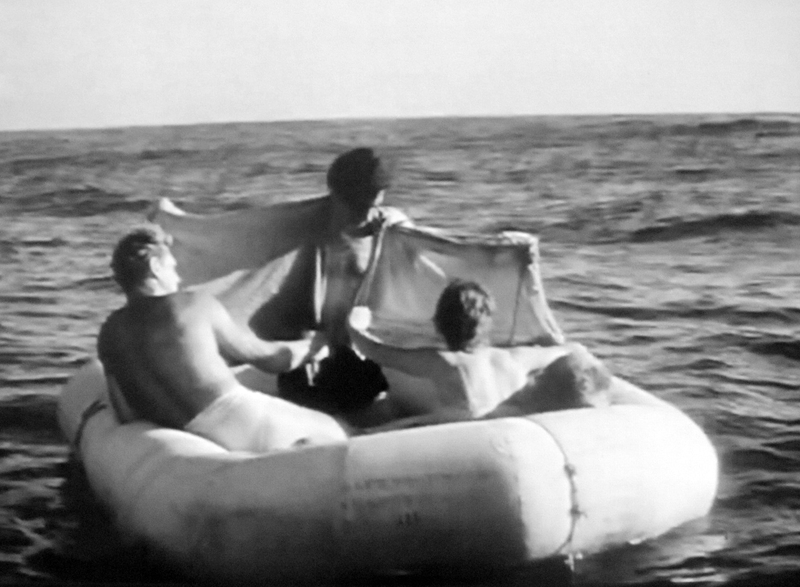 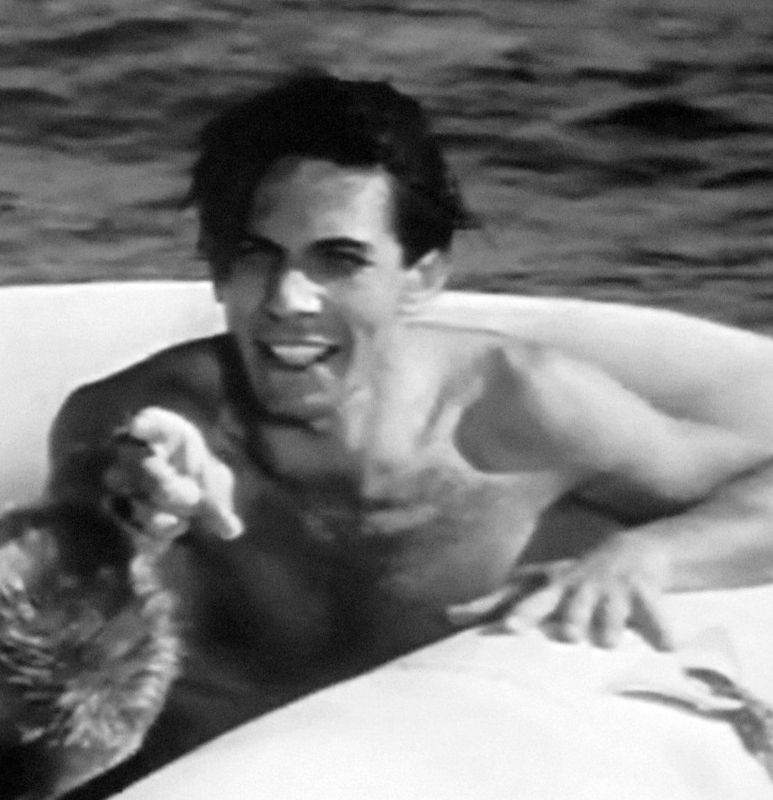 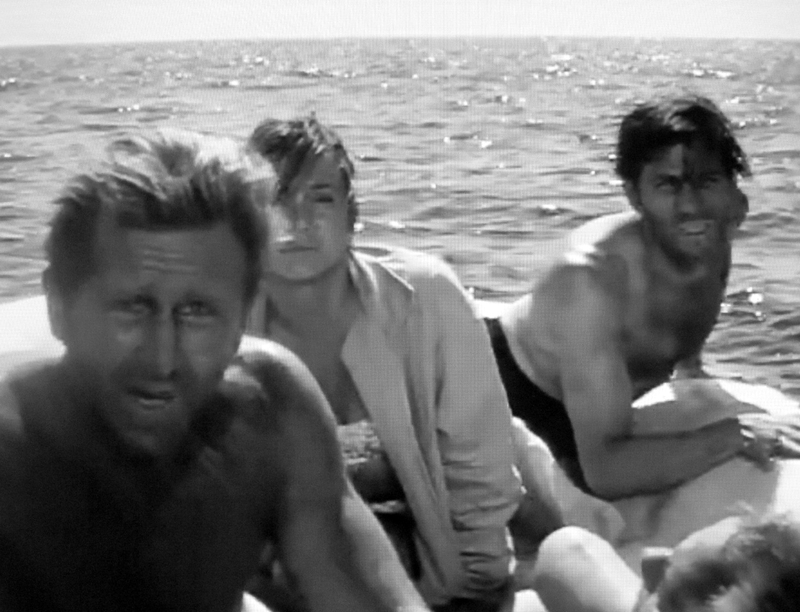 Here’s screencaps from one of his most au natural appearances The Shipwreck (1958) Nimoy plays Vince, a newlywed trapped with his whiny wife, an old man, and Mike Nelson (Bridges) in a life raft without paddles for nearly a week at sea. 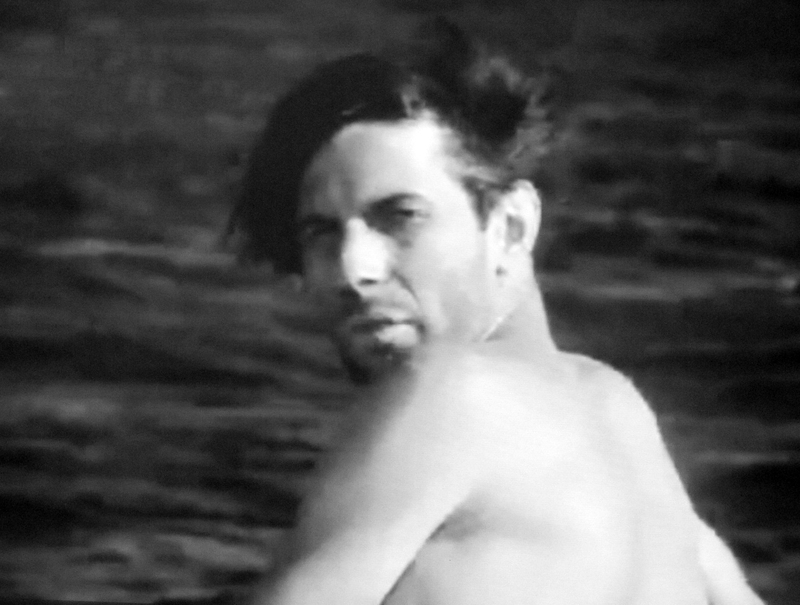 It gets pretty desperate, and Vince is a bit of a dope, but he has incredibly great hair blowing in the sea breeze, and lots of hairy chest goodness.. 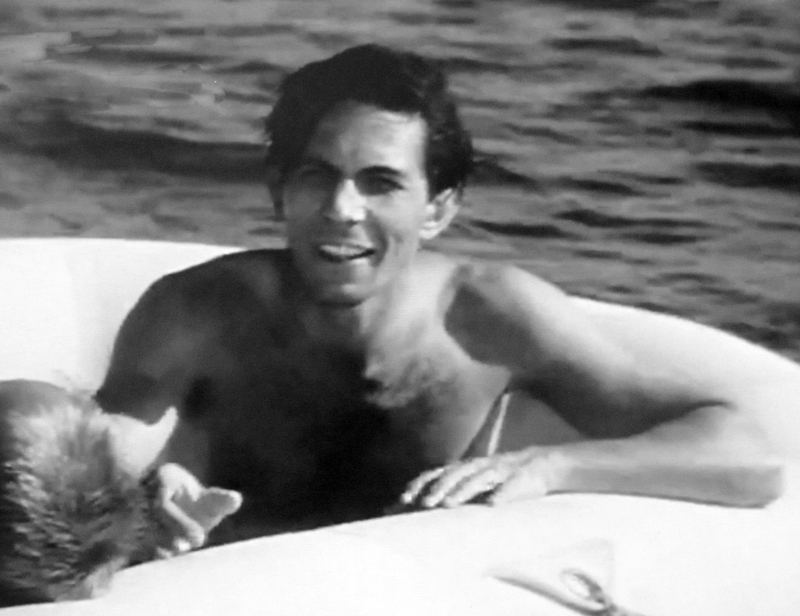 But Mike can’t resist me anymore! 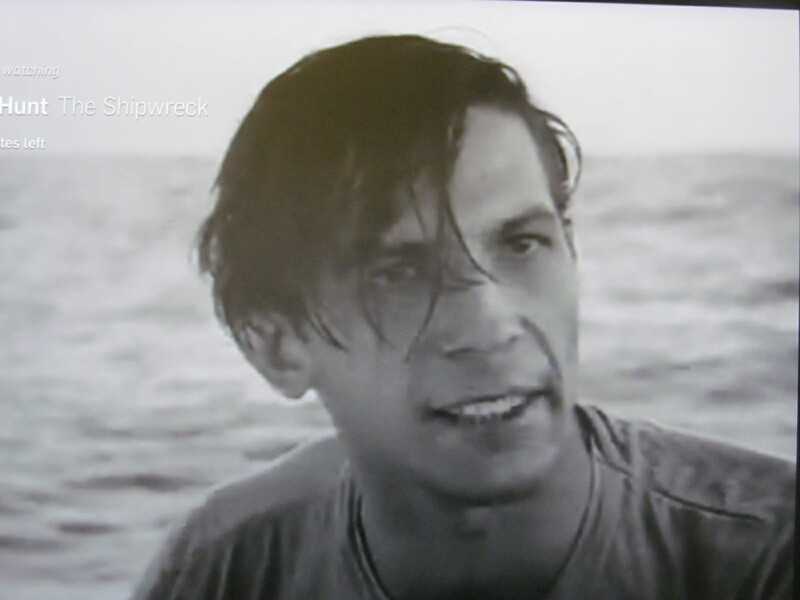 Could I PLEASE have some Chapstick?